Post-production sound work I think is a business of pushing sounds around in the context of moving image. The pushing often has to happen at speed to meet the demands of shrinking budgets and shifting schedules. For this we have available to us a vast range of commercial sound libraries from which sound files are taken and placed on the timeline. Is there time, or any reason, for one to stop and consider these sounds beyond their pure utility? The physical place of a sound in the world, its inner sonic properties, its potential sacredness? James Holcombe's Auricon 100 camera, amp and chunky mic. Time slows down when the technology stubbornly refuses to keep up. Through these unfamiliar temporal gaps emerges new creative possibilities, new perceptions and meanings. This is how I felt recently when attending an immersive 1-day introductory workshop on 16mm optical sound with filmmaker and artist James Holcombe who I first met at no.w.here in late 2017. Over the last few years I’ve been developing an interest in 16mm film and have wanted to learn more about the recording, manipulation and playing back of optical sound. Aside from the actual creative possibilities as an audiovisual medium, photochemical filmmaking strikes me as an incredibly ‘deep’ artistic practice involving patient skill, direct engagement with technology, chance, high value risk-taking (money and time), and a generous spirit of shared knowledge and resources through its community. While I can also identify these attributes in the digital realm, what particularly attracts me to this way of working is the difference in how one engages and interacts with the material over time. Hanging out to dry before projector test. The embodied, tactile process of photochemical filmmaking involves a radically different perspective on how one engages with the material in time and space. An experience, a way of encountering the world, that feels far removed from the digital environment I regularly operate in as a sound designer. The efficient, precise and total control of the computer is replaced by a sense of experimentation (in the truest sense of the word) and adventure, through an interplay of human skill, technology and chance. Before me a magical process of energy transference unfolded: acoustic energy into optical, kinetic, chemical and back again to re-produce an audible sound signal. It felt like all aspects of the audio chain - recording, developing, editing, treating and playback - were suddenly resonating with a renewed sense of meaning and mystery. In moments like these our private feelings of awe and wonder are stirred as we rediscover the magic inside phenomena we think we are familiar with. Inspired by the dense textural work of Penderecki, Ligeti, and the American minimalist tradition, Masses and Parts is a collection of sound pieces that mark the end of a long period of experimentation in computer-based music stretching back to 2002. These ideas were first explored in ealier work for shamisen and computer [2005-2010], and then later through the Otoplexus project [2009-2011] and Systema Naturae [2012-2017]. Other sketches and ideas can be heard in the Signal and Noise playlist. A work-in-progress text here attempts to outline some of the thoughts and ideas surrounding this body of work. My favoutite piece of this four-part collection is Emerging Lines from Just Intervals which uses a just intonated tuning system for melodic and harmonic exploration. This is inspired by and dedicated to two greats of the American experimental tradition: Pauline Oliveros [1932-2016] and Glenn Branca [1948-2018]. Time as container for sound; the emergence of an audible world and the invitation to attend to it. 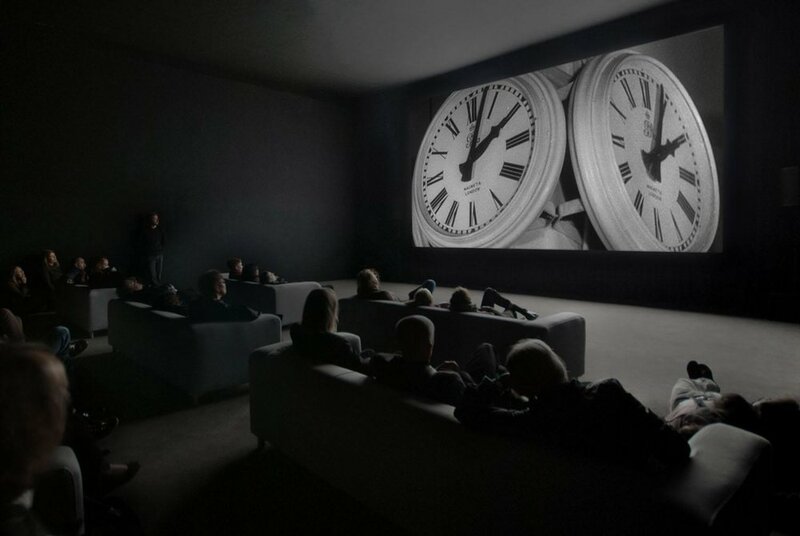 Time articulated through what is seen and subsequently felt; the framing, composition and movement of the camera. The timeline is a great grid. An anti-natural, rational device structuring what we see and hear across time. The Signal and Noise playlist is finally complete - a 100 tracks from various miscellaneous projects from the period 2002 to 2017. At #100 is The Black Square , an extended dark, ambient thing inspired by Kazimir Malevich's famous painting. Primal Image is a stunning set of recordings that documents only a small portion of Lamb's ongoing sonic explorations. Aside from the sheer beauty of the listening experience, what greatly interests me with Lamb is how he encounters the world through sound. How the world is disclosed through his engagement with it in his particular practice. Thompson goes on to speak about how photography is "at its best" when the inner world of the artist and the outer world of the material environment exists in balance, cooperating as in a dialectic: "one side presents a proposition, the other counters in a similar fashion, and on and on as a progressively refined result appears, something neither partner in the dialectic could have produced alone" (p.19). Alan Lamb - involved in the world through sound, cooperating in a dialectic. Sound is an expression of space, of the physical world we are thrown into. It remains, as Lamb's work demonstrates, an expression of mystery and reverence for all that surrounds us. Bringing together Thompson's description of photography and Lamb's deep sound activities, we remind ourselves of the kind of meaning and value in work that emerges through our engagement with and in the world. A world not only made from nature, but one populated by people and all their social and creative affairs. Often physically isolated from others in our expanding global village it's easy to neglect the importance of our worldly engagements. While convenience makes economic sense, it can at the same time weaken the sacrifice and so diminish the meaning. Consider recorded sound as one example: Commercial sound libraries provide sound editors access to a vast array of high quality recordings from around the world. Together with computer software, these sounds can be selected, edited and arranged to create a working soundtrack, quickly. In our anxious haste, we demote sound to the status of mere fodder. Reduced to pure utility, all preciousness is gone. All worldly engagement removed and understanding denied. This couldn't be further from the deep practices of Alan Lamb. As practitioners of sound, passionate about all its forms and modes of sonic and musical expression, we would do well to listen to what Lamb's work teaches us about the world and the potential for our involved engagement in it. If nothing else, a trip outside every once in a while is always a good thing. Further listening on the Signal and Noise playlist...Buddhist chanting recorded at Nichigai Suzan Horinji Temple, a Japanese temple located in the city of Sarnath just outside Varanasi, India. This is an excerpt from an hour-long evening ritual performed each day at the temple. Chanting is heard accompanied by temple block, gong and uchiwa-daiko drums; a kind of handheld fan-drum commonly used in temple ceremonies belonging to the Nichiren branch of Mahayana Buddhism in Japan. In the early 1990s British guitarist and improvisor Derek Bailey presented a television documentary on the role of improvisation in music. During the series Bailey visits a church on the Isle of Lewis in Scotland where we hear the unusual tradition of Gaelic psalm-singing. This kind of swarming choral effect reminds me of the singing documented on the 1989 album Polyphonies Vocales des Aborigenes de Taiwan. Other references might be Louis Sarno's recordings of the Bayaka People of the Central African Republic as well as Alan Lomax's extensive recordings of prison and work-song in America. Inspired by these kind of choral textures The Ecstatic Lament for Jerusalem  is a plunderphonic reworking of the famous hymn Jerusalem, which is sung at the Proms every year in the Royal Albert Hall. Using realtime sampling, melodic intervals are stretched, re-ordered and repeated to create an ever increasing rapture of sound and emotion. Utilising thermographic imaging technology from distances of up to 30km away, documentary photographer Richard Mosse together with composer Ben Frost and cinematographer Trevor Tweeten has created an awe-inspiring audiovisual experience of surreal beauty and fearless humility. Daily reports, digital information feeds and up-to-the-minute news bulletins can have the effect of normalising our individual and collective responses to human tragedy. Through the use of multi-channel video and sound projection Mosse re-renders such ubiquitous imagery in a new aura of strangeness. This I think re-frames the plight of refugees across the world, invigorating it with fresh meaning and insight. An inspiring piece of documentary work currently showing at The Barbican, London.